Adopted on November 3 1976. Last amended October 18 2015. The name of this corporation is the Society for the Furtherance and Study of Fantasy and Science Fiction, Incorporated. Section 2.1: Mission. SF3 fosters interest, appreciation, and criticism of fantasy and science fiction across all formats by employing a focus on feminism and the related subjects of gender, race, class, and disability. Section 2.2: Principles. SF3’s commitment to feminism is reflected in our Statement of Principles: meetings, decision-making, events, fee rates, program development, and the individuals we choose to honor all reflect a commitment to feminist ideals of equality, respect for everyone’s right to be heard, and the obligation to hold each other accountable for what we say. Paragraph 2.3.1. WisCon. SF3’s primary activity is WisCon, an annual convention which promotes interest, appreciation, and criticism of fantasy and science fiction across all formats. WisCon is an explicitly feminist and non-discriminatory event, and its programming also explores themes of gender, race, class, disability, and other intersectional identities in fantasy and science fiction. Paragraph 2.3.2. Other activities. SF3 may support other activities strongly related to the SF3 mission. Any proposed additional activities shall be considered by the full membership at the annual membership meeting as described in 6.2.1 and commence upon membership approval. These activities may include but are not limited to grants, discussions, readings, and publications. Paragraph 3.1.1. Eligibility. Anyone is eligible for membership in SF3, which is a completely non- discriminatory organization. All members must conform to SF3’s Statement of Principles. Each member may attend and participate in any meeting of the Executive Board or general membership. Each member is entitled to one vote at any meeting of the general membership. Each member is eligible to serve as an officer of SF3’s Executive Board. Paragraph 3.1.3: Term of membership. Membership is effective upon payment of dues and is valid for the current fiscal year. Paragraph 3.1.4: Expulsion. A member may be expelled by two-thirds vote of those present and voting at a meeting of the general membership. Expulsion is permanent and shall entail the loss of all rights and privileges as well as forfeiture of any dues paid. Paragraph 3.2.1: Eligibility. Anyone is eligible for membership in WisCon, which is a completely non- discriminatory event. Paragraph 3.2.2: Classes of membership. There shall be two classes of convention membership: attending and supporting. Paragraph 3.2.3: Rights and privileges of membership. All members shall be entitled to copies of all official WisCon publications. Additionally, attending members are entitled to attend all WisCon program events. Paragraph 3.2.4: Term of membership. Membership in WisCon for any given year is effective upon payment of the membership fee. Paragraph 3.2.5: Expulsion. A member may be expelled from or refused entry to WisCon for violations of the WisCon Anti-Harassment Policy, under the authority of WisCon Committee leadership. Expulsion is for a single event by default, but may be made permanent at the discretion of the WisCon Convention Committee. Expulsion shall entail the loss of all rights and privileges as well as forfeiture of any dues paid. Section 3.3: Concurrent Membership. Organizational and convention memberships may be held concurrently. Organizational membership does not confer convention membership, and convention membership does not confer organizational membership. Section 4.1: Composition. The officers shall constitute the Executive Board, serving on that board as directors. The Executive Board has complete authority to manage the affairs of SF3 between meetings of the general membership, subject to the direction of meetings of the general membership.The Executive Board shall include a minimum of five members. Section 4.2: Titles and Duties. Paragraph 4.2.1: President. The president shall preside at meetings of the Executive Board and the general membership, represent SF3 on ceremonial occasions, and make all appointments. Paragraph 4.2.2: Vice-president. The vice-president shall serve on all committees and shall substitute for the president in their absence. Paragraph 4.2.3: Recording secretary. The recording secretary shall maintain the official records of SF3, including an up-to-date copy of these bylaws and minutes of all meetings of the Executive Board and the general membership, prepare all secret ballots, and maintain membership records. Paragraph 4.2.4: Corresponding secretary. The corresponding secretary shall handle all correspondence for SF3 and maintain the correspondence file. Paragraph 4.2.5: Treasurer. The treasurer shall receive all income; authorize all expenditures; record all financial transactions, in accordance with Article 8; establish such checking, savings, or similar accounts for the treasury as they deem necessary and proper; and render reports at each Executive Board meeting and at the annual meeting. Section 4.3: Election. Officers shall be elected at the annual meeting of SF3. Any SF3 member is eligible for any office. Nominations shall be made from the floor. If only one candidate is nominated for any office, they shall be deemed to have been elected unanimously. A majority vote is necessary and sufficient to elect. In the event that no candidate receives a majority, a runoff election will be conducted between the lead candidates by number of votes. The membership may opt for a secret ballot, and the recording secretary must be ready to implement that process during the meeting if so requested. All candidates must be SF3 members at the time of the election. Section 4.4: Term of Office. The term of each officer shall begin immediately upon the announcement of election results at the annual meeting and end at the same point of the third following annual meeting. The president and treasurer shall be elected in years evenly divisible by three; the vice- president shall be elected in the following year; the corresponding secretary and recording secretary shall be elected in the year after that. All officers must maintain SF3 membership in good standing throughout their terms. Section 4.5: Vacancies. If an office becomes vacant, it shall be filled by a member selected by the Executive Board until the following annual meeting, when the remainder, if any, of the term of office shall be filled by a special election conducted immediately after the regular election. Section 4.6: Removal. Any officer may be removed from office by a 2/3 vote of those present and voting at two consecutive meetings of the general membership provided intention to remove is included in the meeting notice. The president must call a second meeting within 6 weeks of any meeting at which a vote to expel has been taken. Meeting notices must be sent to all SF3 members, and such notice shall be delivered not less than 10 days nor more than 30 days before the date of the meeting. Section 5.1: Convention Committee. The convention committee shall plan WisCon, make final program determinations, assign duties, coordinate activities, and keep records of convention registrants. Section 5.2: Additional Committees. Other standing or temporary committees necessary for the function of the corporation may be established by decision of the Executive Board. Section 5.3: Appointments. The president shall designate the chair of each committee. Section 5.4: Participation.When a complaint is brought to SF3 about a member of any SF3 committee violating the Statement of Principles, the Board must decide whether the member is in fact in violation. The Board may establish a process to evaluate such a complaint prior to that decision, and make a recommendation both on whether the committee member has violated the Statement of Principles as well as the recommended consequences. Section 6.1: Executive Board. Regular meetings of the Executive Board shall be held as needed, on the request of any officer. At least three days notice is required. Three officers constitute a quorum to do business. The Executive Board can pass motions by email or other written means if all active officers respond to the correspondence to confirm participation and the motion is approved by a three-fifths vote. Paragraph 6.2.1: Regular meetings. The annual corporation meeting required by law shall be held during the month of October at a time and place established by the Executive Board and communicated to the membership. Paragraph 6.2.2: Special meetings. Special meetings of the general membership may be called by the Executive Board or by a petition of any ten members. Business to be transacted at a special meeting shall be limited to the items enumerated in the notice of the special meeting. Paragraph 6.2.3: Quorum. Five members, or 10% of the membership, whichever is greater, must be present or represented by proxy to constitute a quorum to do business. No member may hold more than three proxies. Paragraph 6.2.4: Notice. Each member shall be entitled to written notice, stating the time and place of each meeting of the general membership, whether regular or special, and such notice shall be delivered not less than 10 days nor more than 60 days before the date of the meeting. Meeting notice shall also be placed on SF3’s website no less than 10 days nor more than 60 days before the date of the meeting. Paragraph 6.2.5: Proxies. Each notice of a meeting of the general membership shall contain an instrument whereby the member may authorize a proxy; however, the proxy shall be valid only for the meeting specified, it may be used only by another member of SF3, and it may not lawfully carry any instructions for voting on any given issue. Paragraph 6.2.6: Authority. A meeting of the general membership is the supreme sovereign authority of SF3, subject only to the articles of incorporation, these bylaws, and the laws of the land. Section 6.3: Committees. The head of each committee is responsible for scheduling meetings of the committee. Section 6.4: Meeting Rules. Insofar as possible, the presiding officer shall endeavor to allow full discussion of all issues. Where possible, decisions should be reached by consensus. Where necessary, a majority vote will be determinative. The presiding officer must vote last on all motions. Debate may be terminated by a four-fifths vote. Section 7.1: Fiscal Year. 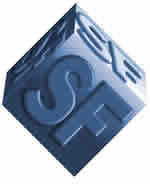 SF3’s fiscal year shall extend from September 1 to August 31. Paragraph 7.2.1: Annual dues. Any increase to the cost of dues shall be adopted by a two-thirds vote of those present and voting at the annual meeting, and notice of any proposal to increase the cost of dues must be included in the meeting announcement. Paragraph 7.2.2: Assessments. Members shall not be assessed beyond annual dues. Paragraph 7.2.3: Restrictions. Receipts which are conditioned upon certain restrictions must be used solely for the purpose specified. The Executive Board may accept or reject such receipts as it sees fit. Section 7.3: Expenditures. SF3 funds, however acquired, shall be expended in accordance with the provisions of Article 2. All expenditures shall be documented. All expenditures over $1000 require approval by two officers. Paragraph 7.4.1: Circumstances. The Executive Board may not sell, lease, exchange, mortgage, pledge, or otherwise dispose of all, or substantially all, the property and assets of SF3, nor may it dissolve SF3, without the assent of two-thirds of the total membership and two-thirds of the Executive Board. All liabilities and obligations of SF3 shall be paid, satisfied, and discharged, or adequate provision shall be made therefore. Assets held by SF3 requiring return, transfer, or conveyance, which condition occurs by reason of the dissolution, shall be returned, transferred, or conveyed in accordance with such requirements. All remaining assets shall be transferred to the University of Wisconsin (Madison) Memorial Library, or any other charitable, educational, or scientific organization exempt under Section 501 (c) (3) of the Internal Revenue Code or the corresponding section of any future Federal tax code, to be used in the furtherance and study of fantasy and science fiction. Section 8.1: Authority. No individual has the authority to obligate, commit, or act in the name of SF3 or any of its subdivisions without the express approval of the Executive Board or by a vote of the membership at the annual meeting. Members of the Executive Board have the exclusive and non-transferable ability to sign contracts on behalf of the organization following such approval. Section 8.2: Conflicts of interest. Whenever an officer or SF3 member has a financial or personal interest in any matter considered by the Executive Board or the general membership, they shall be subject to SF3’s Conflict of Interest Policy. The Conflict of Interest Policy shall be furnished to all members together with notice of any membership meeting. Section 9.1: Substantive. Amendments to the articles of incorporation or to these bylaws may be made at any meeting of the general membership, and notice of any proposal to amend must be included in the meeting announcement. Such an amendment shall be adopted by a two-thirds vote of those present and voting. Section 9.2: Technical. The recording secretary is empowered to make technical amendments to the bylaws, provided the proposed amendments are presented in writing at an Executive Board meeting. A proposed technical amendment may be rejected by majority vote of the Executive Board at that meeting. A technical amendment may address only numbers and titles of the parts of the bylaws, cross- references, spelling, grammar, punctuation, capitalization, abbreviation, consistent terminology, and parallel structure. A technical amendment shall take effect at the end of the meeting at which it is presented, unless it is rejected.